The winner of the 2018 Leeds International Piano Competition to release the first single from his debut album on Friday. 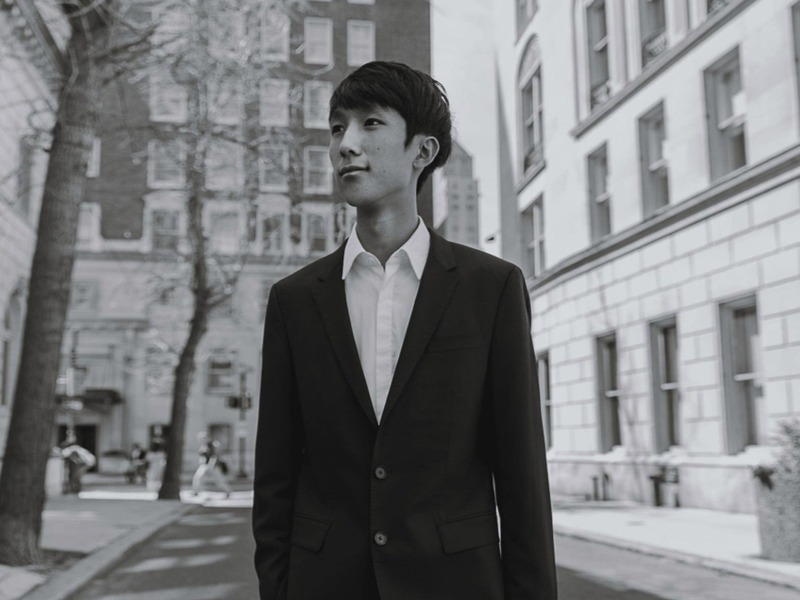 Warner Classics and Askonas Holt are proud to announce the signing of 20-year old American pianist, Eric Lu, winner and Dame Fanny Waterman Gold Medallist at the prestigious Leeds International Piano Competition 2018. As part of this year’s coveted prize the winner receives worldwide management with Askonas Holt – one of the world's leading arts management agencies, and an international album release on Warner Classics – one of the foremost global classical music recording companies. This is the first time a record label and a management agency partner with ‘The Leeds’ to create a ground-breaking portfolio prize designed with long-term career development in mind. The recording deal is a corner-stone of its new prize package, designed to redefine what a music competition can offer young performers. Both, Warner Classics and Askonas Holt, aim to ensure that the winner has the opportunities, support and advice to develop a significant long-term international career. Warner Classics, with its sister label Erato, has a strong track record in signing and supporting young artists over long periods of time, including such stars as George Li, Beatrice Rana, Bertrand Chamayou, David Fray and, has long-standing exclusive relationships with such artists as Ian Bostridge, Emmanuel Pahud, Piotr Anderszewski, Sir Antonio Pappano, Kyung Wha Chung and Joyce DiDonato. Askonas Holt’s artist-centred approach to developing and sustaining long-term careers has fostered enduring relationships with many musicians who joined their roster as young artists, including: pianists Murray Perahia KBE, Lars Vogt and Sunwook Kim (all prize-winners at The Leeds), conductors Sir Simon Rattle, Bernard Haitink KBE, Yannick Nézet-Séguin and Daniel Harding, violinist Viktoria Mullova, and singers including Sir Thomas Allen, Dame Felicity Lott, Ian Bostridge and the late Dmitri Hvorostovsky. On Friday 21st September, Warner Classics releases a digital single of Eric Lu’s performance of the First movement from Chopin’s Piano Sonata No.2, available on all digital platforms for streaming and download. The album, to be launched worldwide in physical and digital formats on Friday 2nd November, will include his Beethoven Piano Concerto No. 4 performance from the Final with the Hallé conducted by Edward Gardner (Lu is also the Terence Judd Hallé Orchestra Prize winner), as well as Chopin’s Piano Sonata No. 2 and Chopin’s Ballade No.4 recorded from the earlier rounds. The album has been remastered from Medici.tv’s high-quality audio footage of all of the Competition performances made possible by invaluable support from the University of Leeds. Every stage of the competition is available to watch at leedspiano2018.medici.tv; the final was also broadcast live on BBC Radio 3 and is available on catchup via BBC iPlayer. BBC FOUR will broadcast a highlights programme on Sunday at 7pm.